Ghosts, I have never encountered one. I am not sure I really want to. I have quite the chicken heart and having a ghostly encounter, to be honest, gives me the heebie jeebies. With this being said I would usually pass on a ghost story, but the fact that it was written by Stephanie Kusiak made me override this immediately. Her book Loved and Lost is one of my all-time favorites, and therefore her books are on my automatic read list. Caitlin Cassidy is a newly divorced author that has decided to lick her wounds the only way she knows how, she heads home. Packing up and leaving Los Angeles was harder than she ever imagined it would be. Her marriage is over. A life she was 100% committed t, but could not make work. 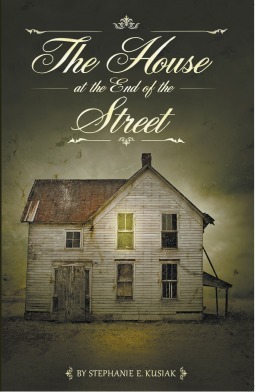 In her devastation she decides to buy an old abandoned home and restore it to its former glory. The thing about the home is there is a ghost that lives there. Caitlin knows this because the ghost saved her life when she was a little girl, and that moment has stayed with her forever. Natalie Hargrove is the ghost that remains in Caitlin’s house. Once an accomplished painter, Natalie had it all. A great family, a beautiful lover, amazing friends, but she lived in a time where she couldn’t be open and honest about who she was and who she loved. Upon telling the truth to her loved ones it all came crashing down. Natalie turned to the bottle in her despair and she fell to her death falling down her grand staircase. Natalie should have never met Caitlyn but she did, and now they are roommates. I will tell you this book made me cry. I am not really much of a crier, I try to repress those feelings most of the time, but this book brought out the waterworks. While this book is on the short side, it does not lack for emotion. There are times parts of the story are rushed or glossed over, but what you do have is simple and beautiful. The interactions between Natalie and Caitlin are power packed, and with heavy emotion. The two women and their journey was incredible, not like any other story I had read before. I was enthralled, completely captivated by Natalie and Caitlin. This is an amazing story of lost souls and love. Stephanie Kusiak does not disappoint with this one!